Linda A. Cadose is a retired Registered Respiratory Therapist. who is now a full time author. She loves reading, libraries, writing and traveling especially to Egypt. She is the author of two middle grade action/adventure novels. 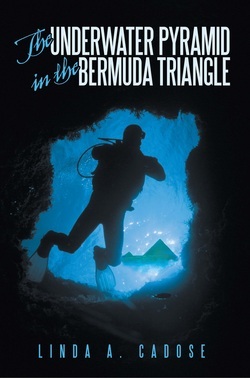 They are The Hidden Chamber in the Great Sphinx and The Underwater Pyramid in the Bermuda Triangle. She writes fiction which is based on fact. She currently resides in Carver, MA. 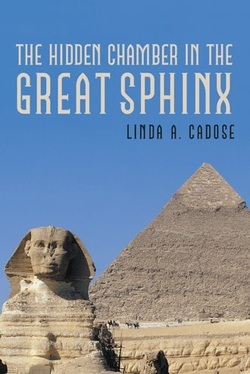 Dr. Cliff Post and his friend, Dr. Saad dicover a hidden chamber in the right paw of the Great Sphinx. Secreted inside is an ancient supercomputer composed of 13 crystal skull. Terrorists steal the supercomputer and kidnap Dr. Post. Dr, Post and his friend, marine archeologist, Dr. Kyle Wilson discover a sunken city off the coast of Cuba. The sunken city contains three pyramids, buildings and roads. Inside one of the pyramids, they find an antimatter engine and royal mummies inside glasslike coffins. Later, they performed a DNA analysis on the royal mummies. Iranians steal the antimater engine and Dr. Wilson's research vessel.